Unless you live somewhere it's warm year-round, the summer months seem to fly by. 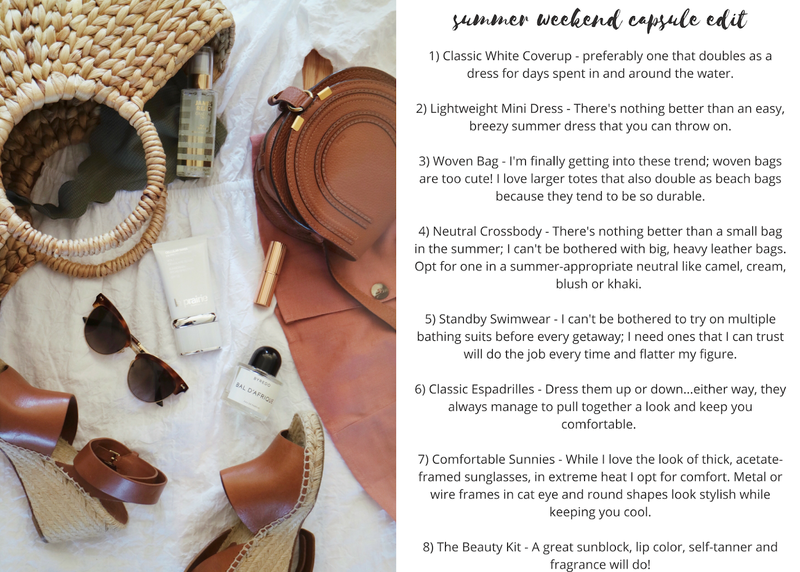 For us New Englanders, we're lucky to get a good three months of nice weather, so when the weekend rolls around and last minute jaunts to lakes or beaches present themselves as opportunities, I like to have an edit of summer style essentials that I can reach for without wasting precious time. This means a capsule fashion & beauty wardrobe containing standbys that I already know will never fail me in warm-weather scenarios. 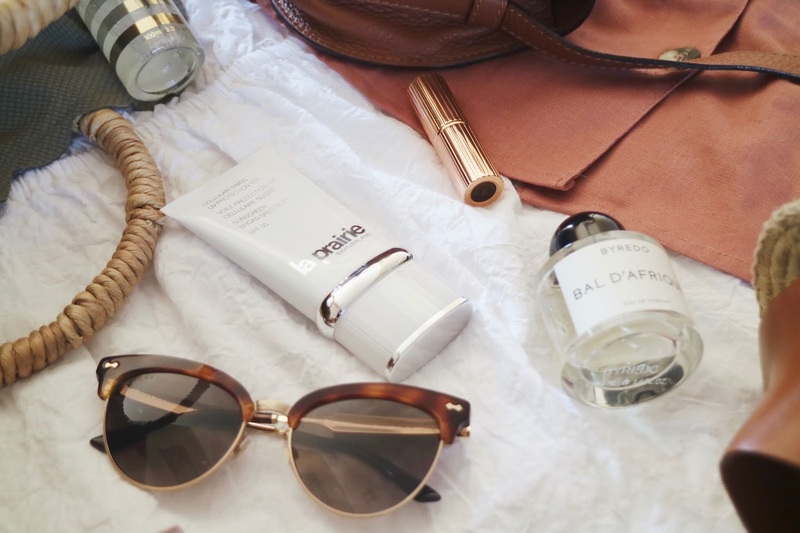 This is also a great way to start your packing for any summer getaway; I already went on summer holiday to Puglia (headed back to the Amalfi coast in the Spring - eek! ), but will be referencing this edit when it comes time to pack for my upcoming trip to Costa Rica!